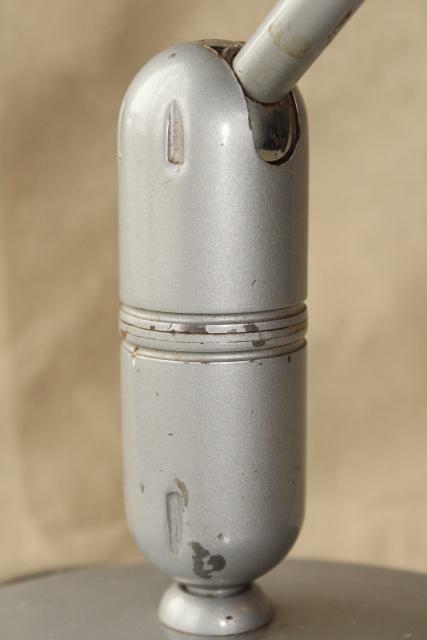 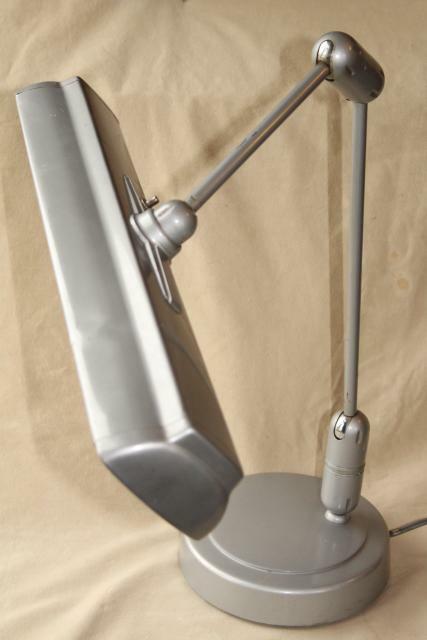 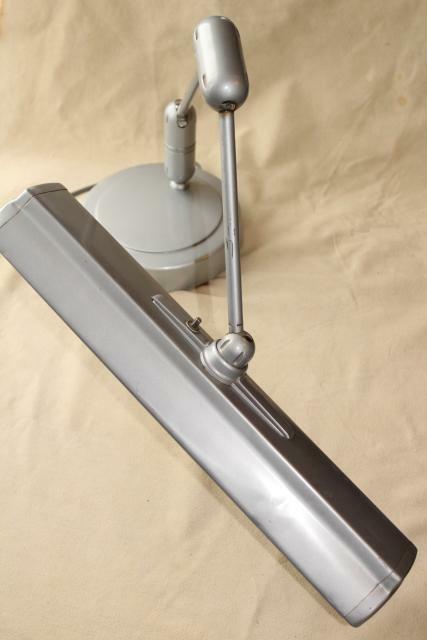 Vintage 'Swivelier' adjustable pivot arm work light for drawing board or drafting table. 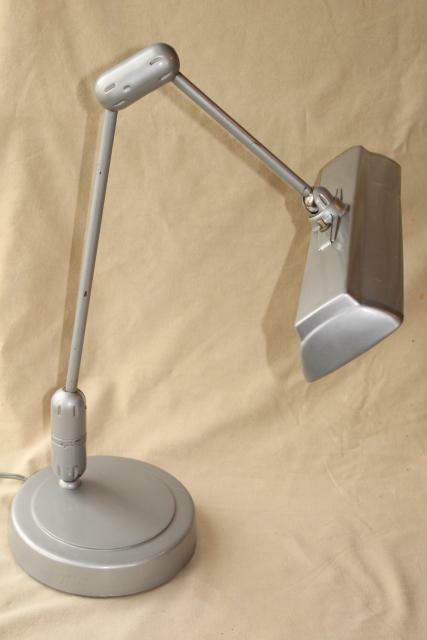 This is 1940s or 50s vintage, with a great retro industrial office look! 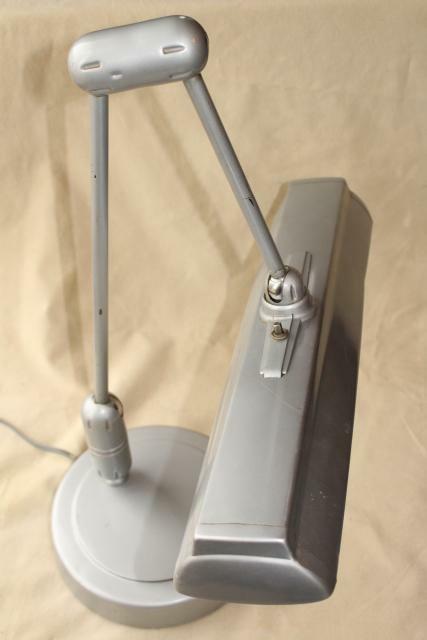 It's incredibly heavy, 8" across the base, about 32" tall with the arm nearly straight up. 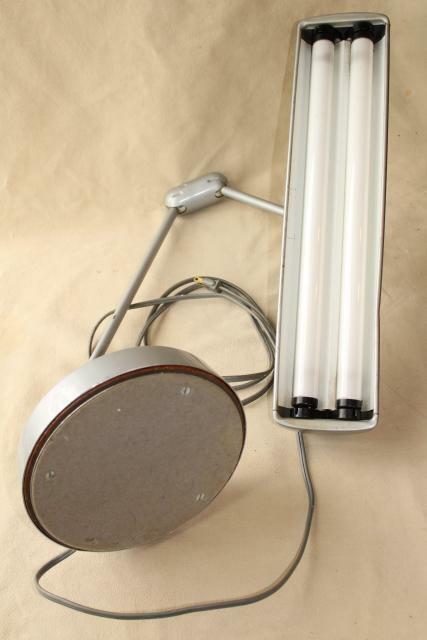 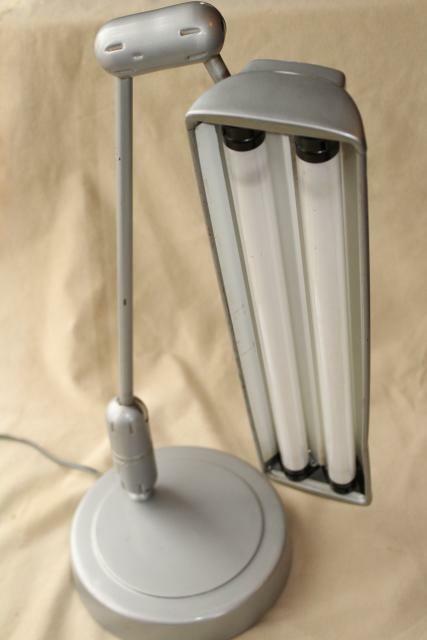 The metal shade measures 18 1/2" long, and is made to hold two long florescent bulbs. 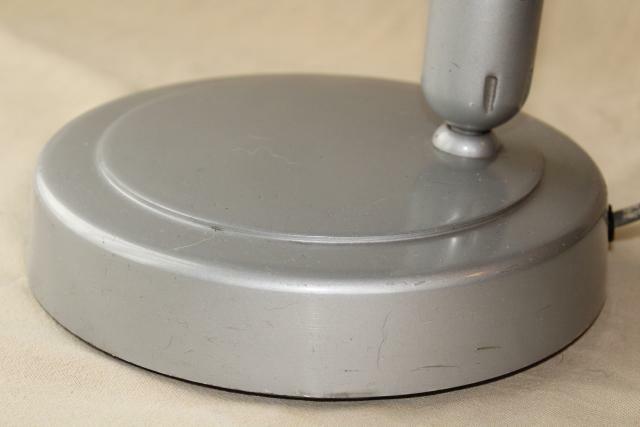 The finish is the original steel grey enamel - it looks good, clean overall without a lot of scratching or wear. 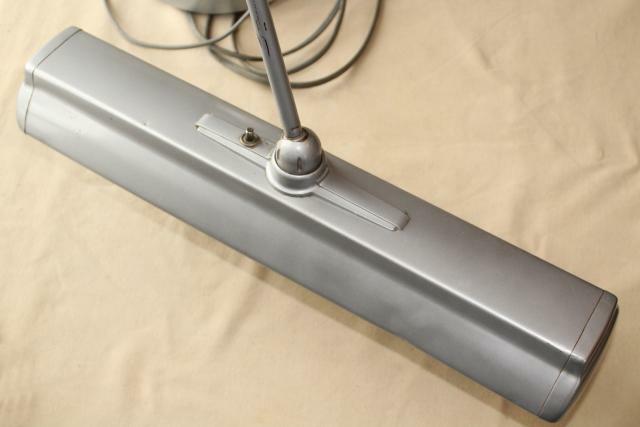 The wiring is original and looks just a little grubby over the electrical cord.